Welcome back to the blog! 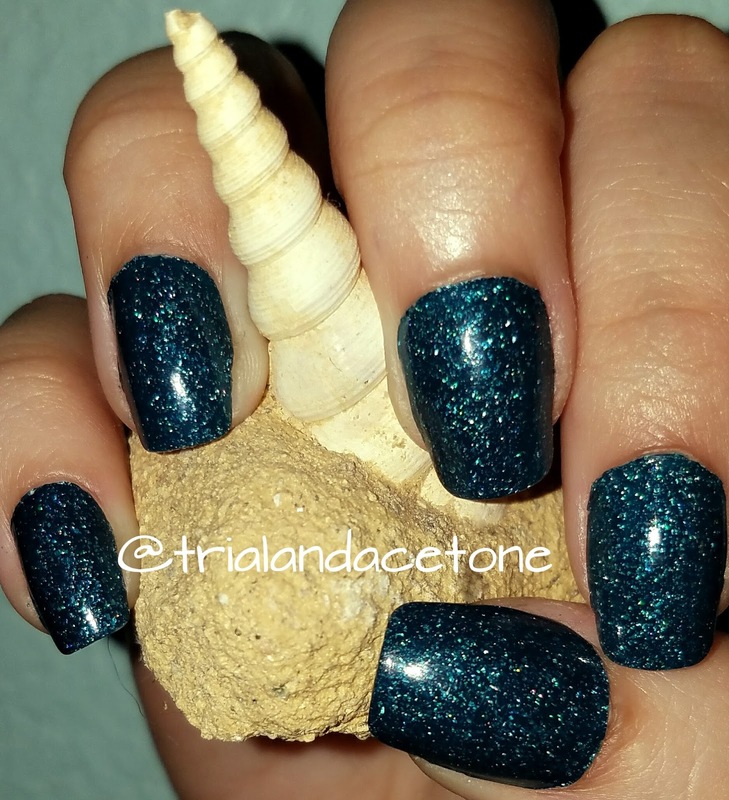 I have an awesome polish for you today!! 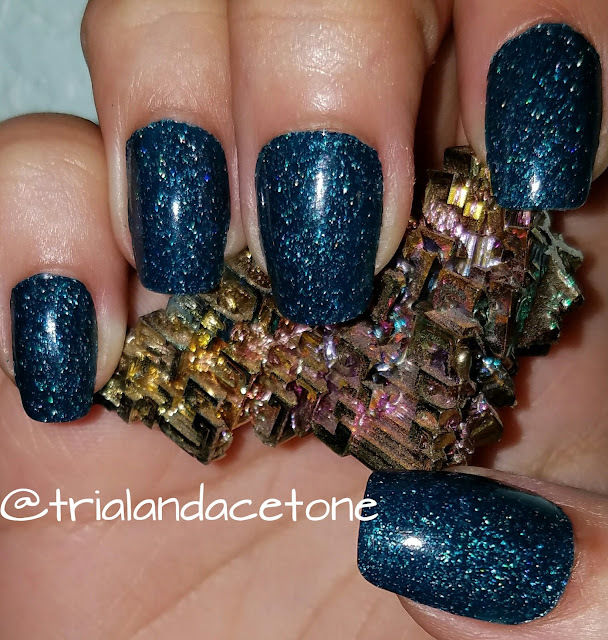 When I saw sneak peeks of Cirque Colors new facets collection I knew I had to get them!! As you may know if you follow me on Pinterest, I love gems and minerals. I go to the largest gem and mineral show in the U.S. every year, which fortunately is held a mere 2 hour drive from me in Tucson. I love it, the sensory overload from the beauty surrounding me is breathtaking. 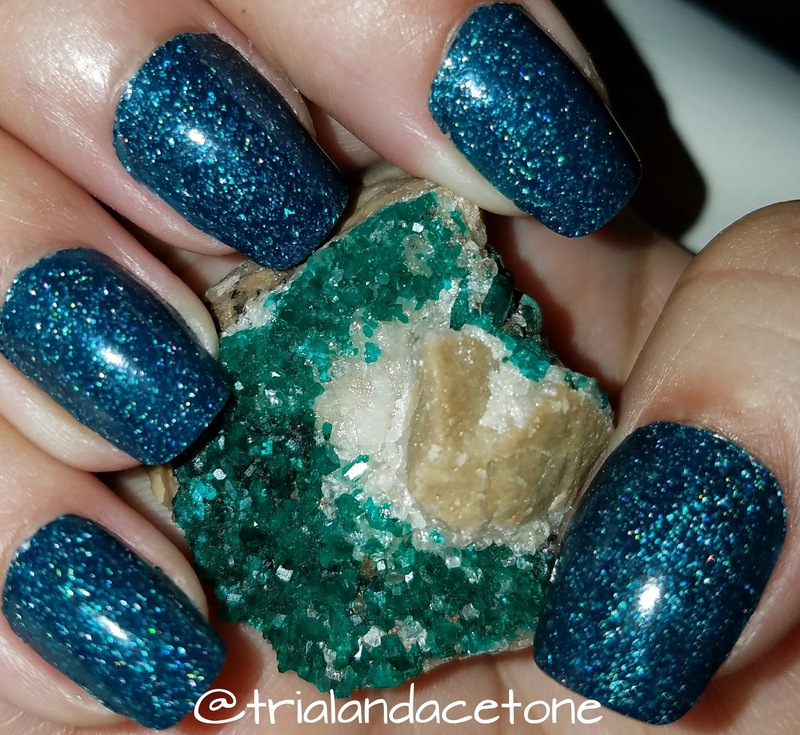 At last year's show, I fell in love with Dioptase. A striking emerald green-blue, I couldn't stop looking at it. 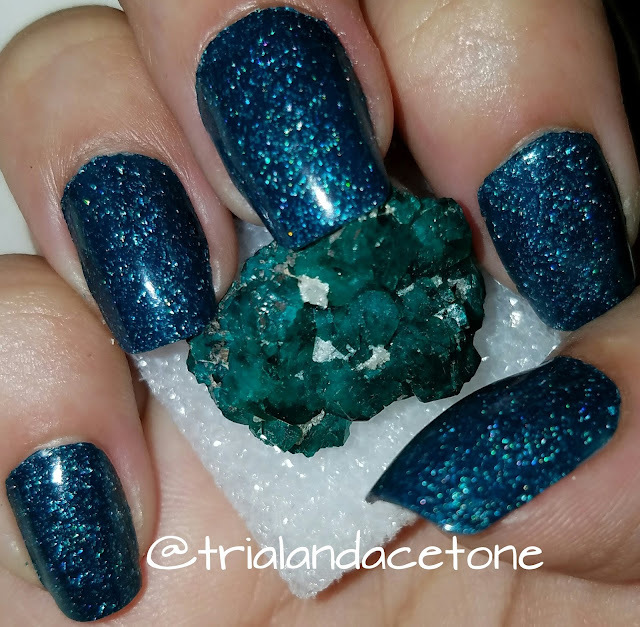 Normally I gravitate towards amethyst, but Dioptase quickly became my new love. So when I saw that one of Cirque's new polishes was called Dioptase, I couldn't wait to get my hands on it! Dioptase is a stunning scattered holo flakie glitter masterpiece. Nearly opaque in one coat, the formula is perfect and it glides on easily. 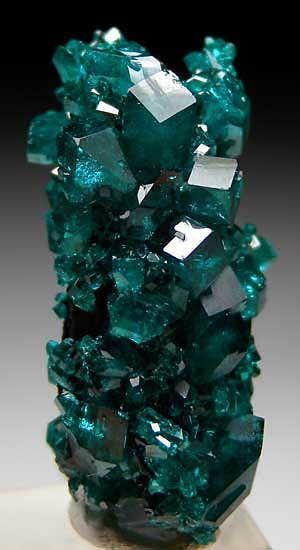 I took some pics with my specimens of Dioptase as well as some other fossils and minerals in my collection. this color is amazing. I might have to bring it home with me. 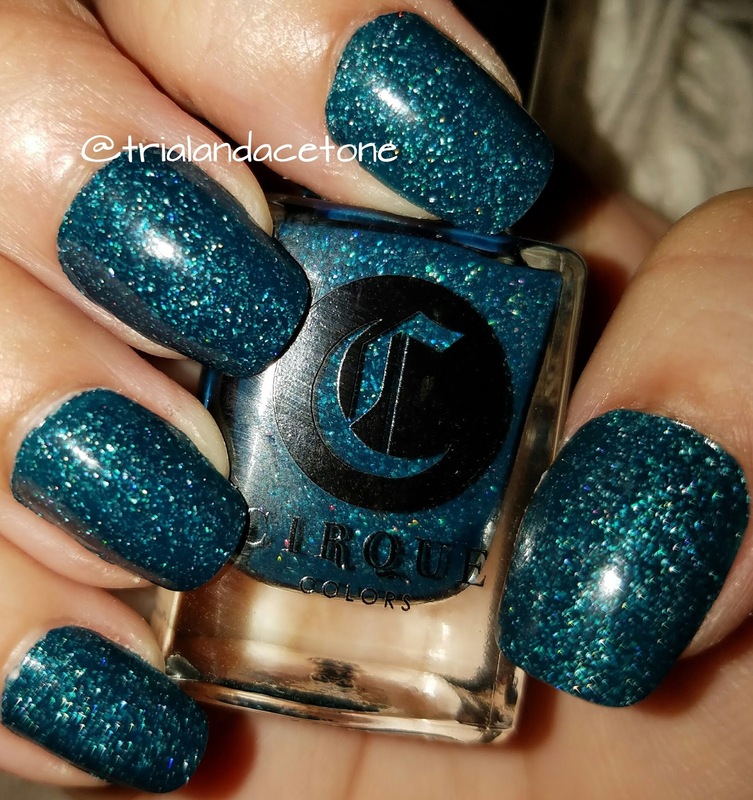 Cirque is so good at shades like this. This polish really is beautiful! 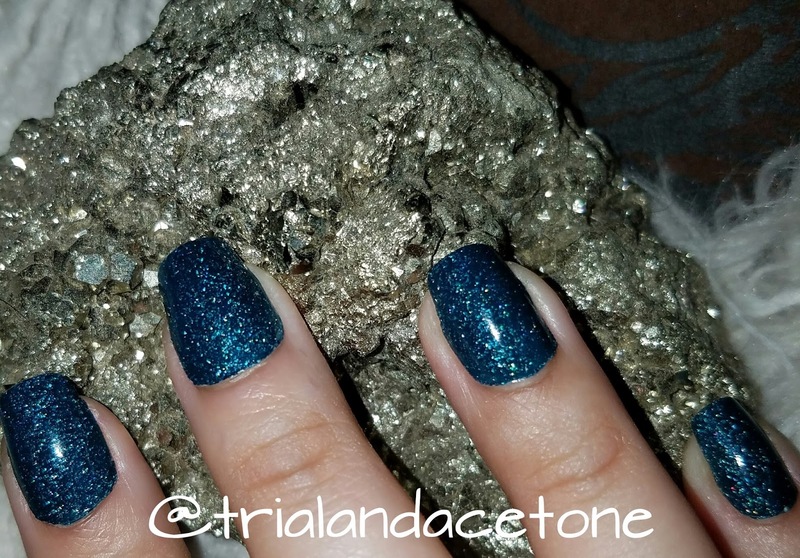 I love that you used your gems in your pictures. This is so cool! I also love gems - my green for the upcoming Color Box is based on Alexandrite. And of course I bought this Cirque as well. 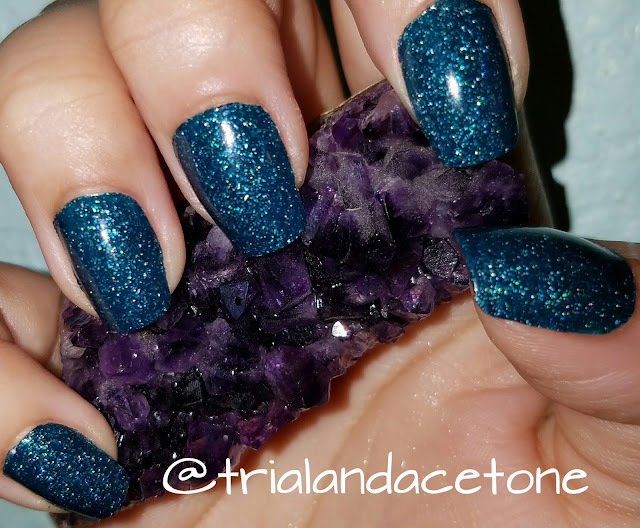 Gorgeous color, and it matches the gem so well.